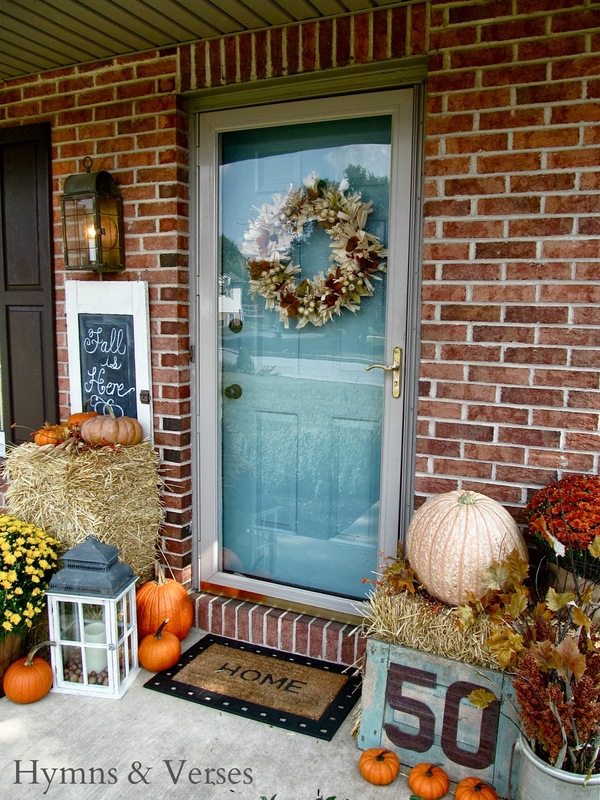 Many home owners think cluttering their porches with harvest-themed decorations will give the spaces a fall feel. 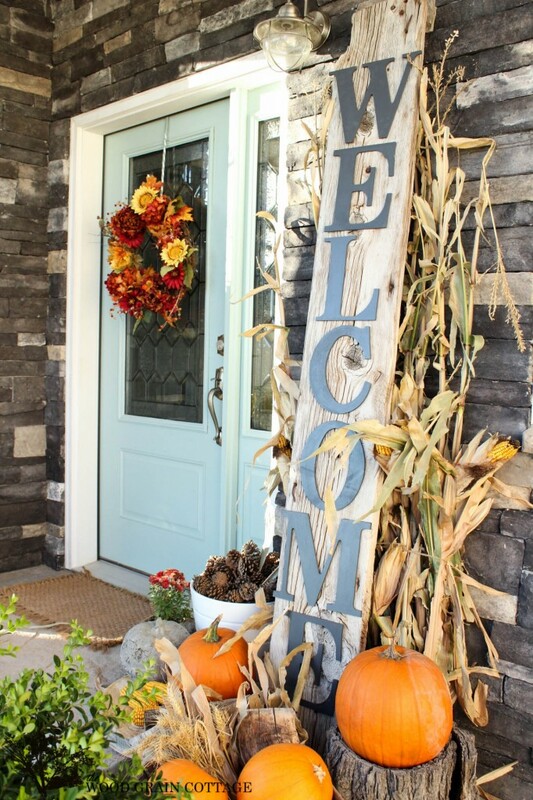 Like decorating for any other time of the year, fall decor requires the right combination of fall porch decorating ideas to be memorable and well-done. With simple pumpkin, leaf, flower and squash-themed decorations, you can make a statement without going too over the top or spending a lot of money. Home decor not only helps to create a mood within your home but says something deeper about your personality. By going with simpler decorations, you can communicate to others that you appreciate simple yet stylish touches. Through your choice of decorations, you can also make your porch a more inviting space for visitors during the fall season. This rustic fall display is easy to create. It complements the porch, and the components are not that expensive. Take a drive to a nearby farm market, and you will find everything you need. A little quick arranging, and you can have an inexpensive, eye-catching fall farmhouse harvest-look display in minutes. This is a fun display that does not overpower a small porch, and it doesn’t require any more artistic skill than carving a pumpkin. 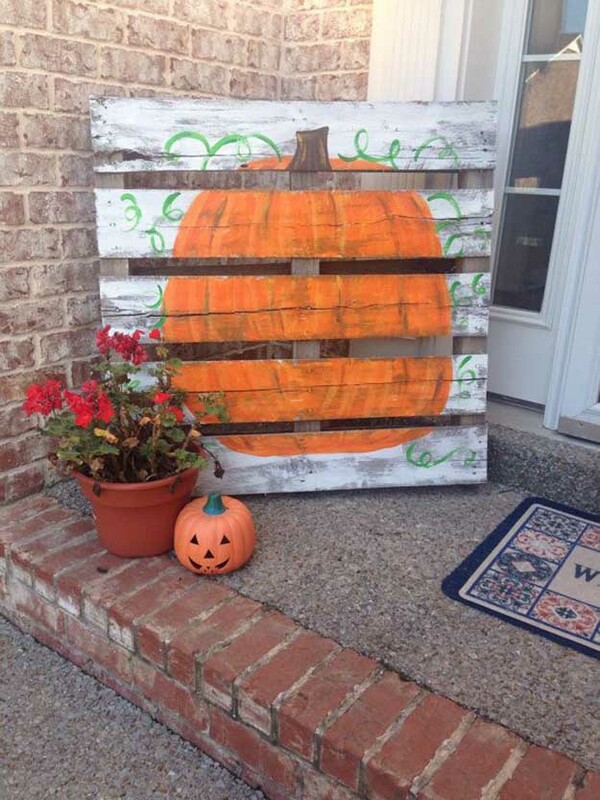 Just grab a pallet, some paint, and free your inner childhood creativity. When you are done, you will have a large pumpkin that can be used as the background for fall displays for years. 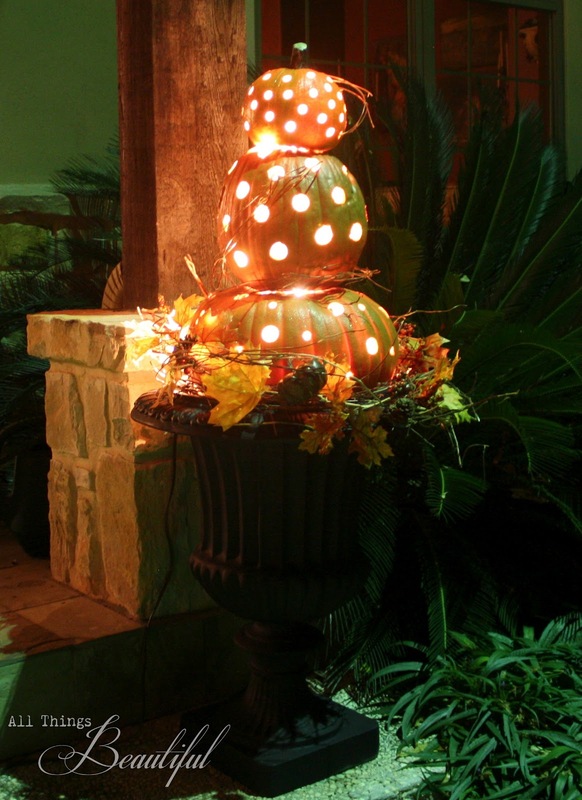 This pumpkin topiary can be used on one or both sides of your porch. It coordinates well with the plants beside the porch, and it adds sophistication to your fall display. Your topiary adds a lighted fall display to your porch, and the lights inside the pumpkins let it stand out even at night. 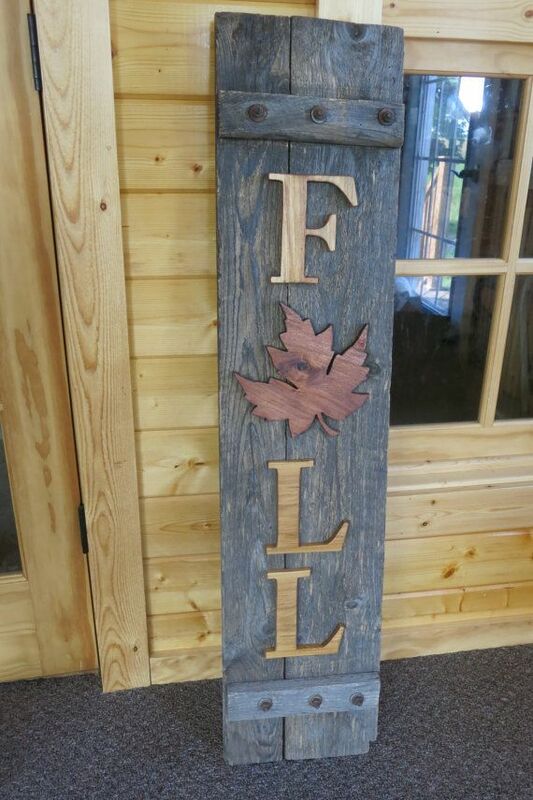 This wooden “Fall” sign can be part of a rustic fall display. 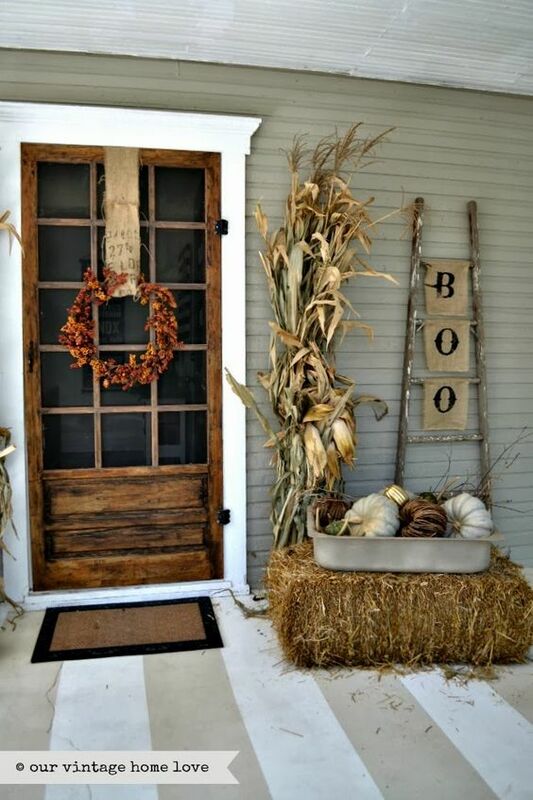 Add some pumpkins, gourds, and a bale of straw to create a fall farm market feel that will fit on even a small porch. You will want to sit out on your porch with a glass of cider. This porch display on the steps and both sides of the door draws your eye up to the unique substitute for a wreath on the door. Each step offers something unique, and, on the door, the flowers look like they are growing in the burlap bag. 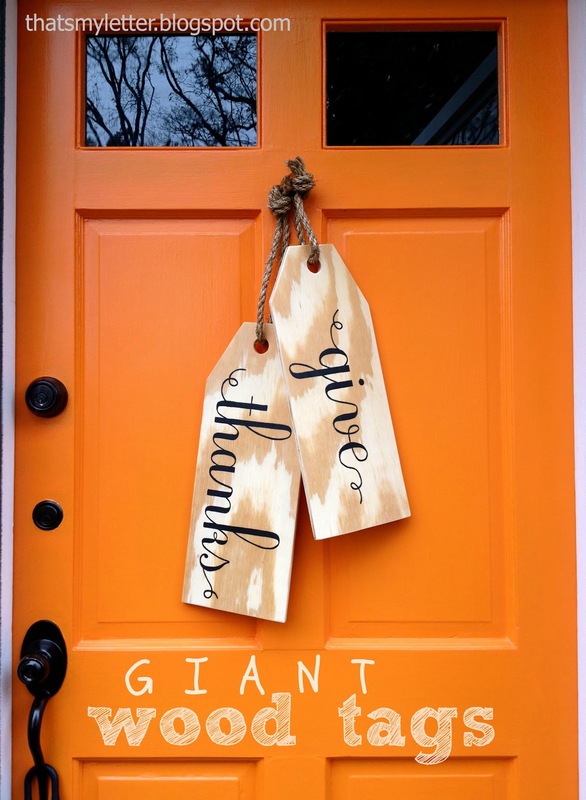 Your guests will comment on the originality of your door decor. These wood tags with jute cords are another idea you can use on the front door instead of a wreath. If you want to add a little more to your door, you can create a vertical swag by tying together branches of fall foliage, berries, and whatever else you can find. This welcoming display can be quickly and easily assembled. Most of the components are readily available. Crates or bales of straw can substitute for the tree stump. This overflowing display gives the feel of an abundant fall harvest. 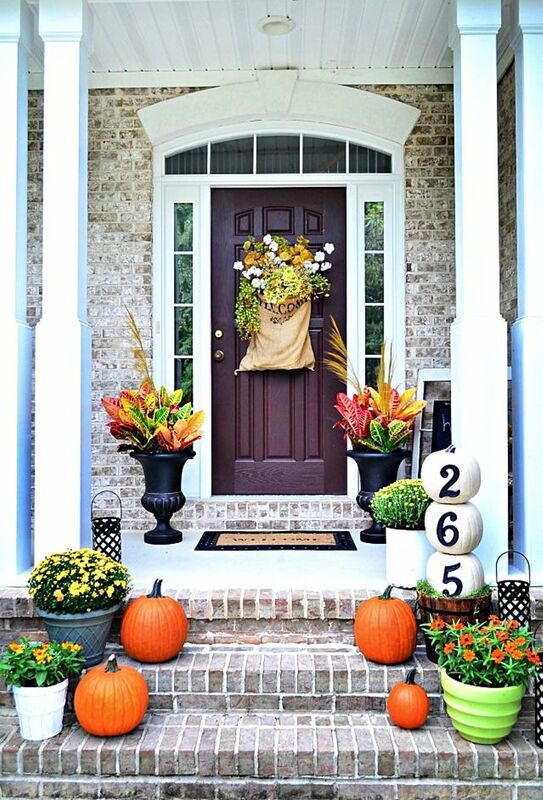 Your porch will say welcome to your guests and welcome to fall. This rustic display can be quickly assembled with whatever you have. If you don’t have a wagon wheel, just look around your house for something vintage or with a vintage-look. 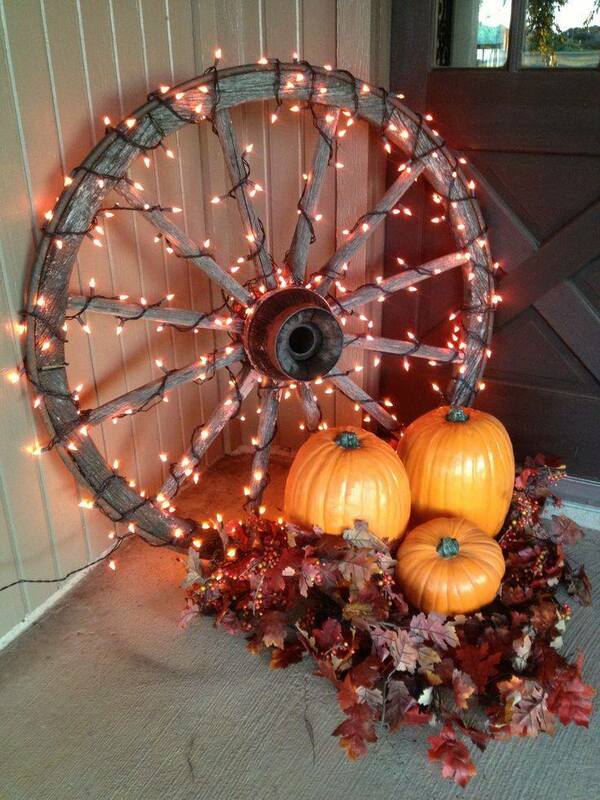 Add pumpkins, leaves, and lights to create a glow, and you have a nice rustic display for a small porch. This is quick to create for busy people who need some decorating ideas. Fall is a casual, relaxed season, and creating a display for your porch should be casual and relaxed also. Bales of straw make great bases and mix well with fall produce and vintage pieces. So, just collect fall-themed items and play around with them until you get a look you love.